Tissues at the ready! The stage adaptation of Michelle Magorian’s classic novel will have you sniffing in your seat if you have any heart at all. 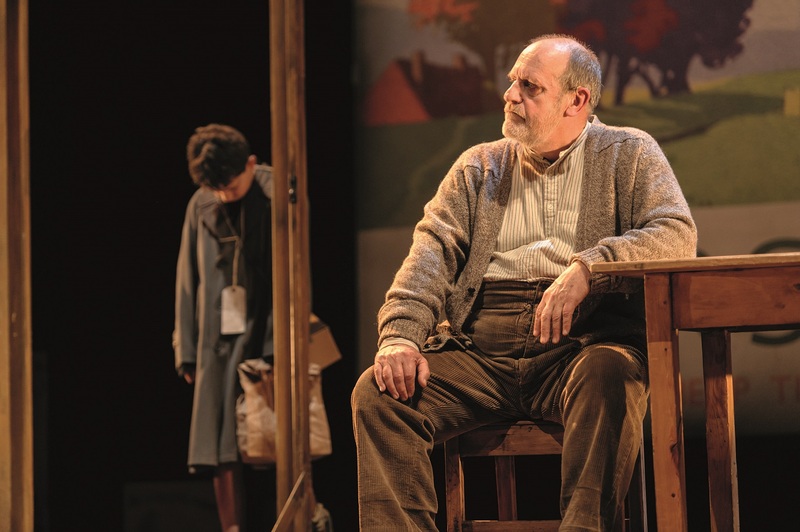 The story of Second World War evacuee William Beech is beautifully and simply told – with David Troughton cast as the most perfect gruff-around-the-edges widower Tom Oakley who, despite himself, grows to love the cowed and frightened child in his charge. There’s high emotion from the start as we see hints of William’s horrible home life – the fact he has never slept in a bed, how he hides under the table when Tom produces a belt from the package sent by William’s mother (and Tom’s subsequent shaking with anger as he realises the abuse the child must have suffered); then the audible gasps from the audience as William’s bruises are briefly revealed. Its not all sadness of course…there are plenty of uplifting moments. Though William is bullied at the start, the local children soon make friends with him, Tom teaches him to read and write and he grows in confidence. And through it all there’s the endearing and often comical presence of Sammy, Tom’s faithful dog who is expertly brought to life by puppeteer Elisa De Grey. Young actors Freddy Hawkins and Harrison Noble play William and his friend Zach with great maturity – Freddy particularly shone in a harrowing scene when, reunited with his mother in the squalor of their London rooms, he falls back into quiet submission to her abuse. And Harrison’s energy as the theatre-loving Zach raised smiles all through. The show demands every ounce of your attention, but it’s easily captured by the excellent cast who take you on a roller coaster of emotions – sadness, fear and happiness. We loved this show – it tells a story in a beautiful way you won’t forget for a long while. 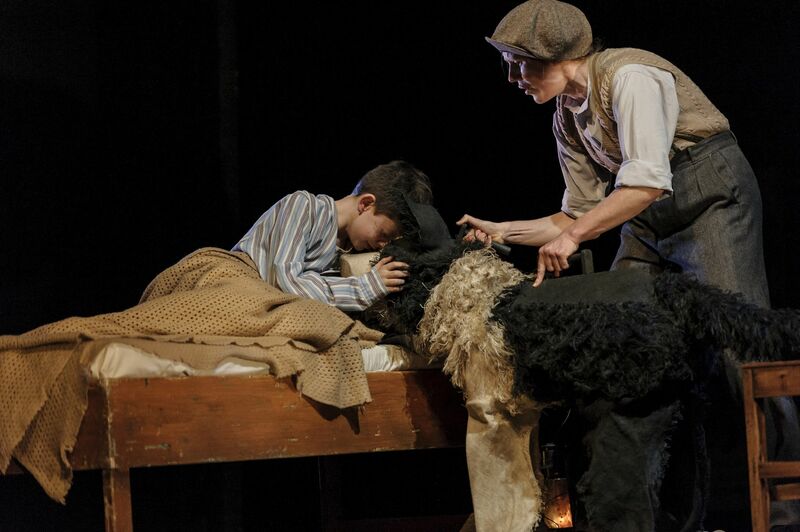 Goodnight Mister Tom is at the New Theatre, Cardiff until Saturday 14th May before heading to Newcastle. Go and see it.